RIM's new BlackBerry Storm 2 might be dominating the headlines at the moment, but that hasn't stopped it offering the new BB OS 5.0 software to existing Storm users. This means kinetic scrolling, text input with auto-correction and a generally improved user experience. It was unveiled as an option for existing Storm customers by Verizon in the US, and will be available shortly. However, the UK won't be afforded the same option, and will instead be forced to wait until 2010 for the same upgrade, according to Electric Pig. 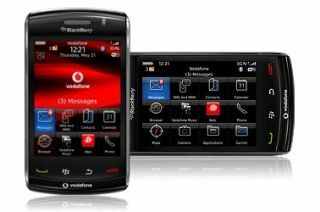 This makes the Storm 2, available on Vodafone, a more attractive proposition for users looking to get that BlackBerry touchscreen experience, as the original Storm failed on a number of accounts. But it seems RIM still clearly views the US market as its primary demographic, as despite releasing the Storm 2 in the two territories simultaneously, it hasn't offered the same level of support in both countries.